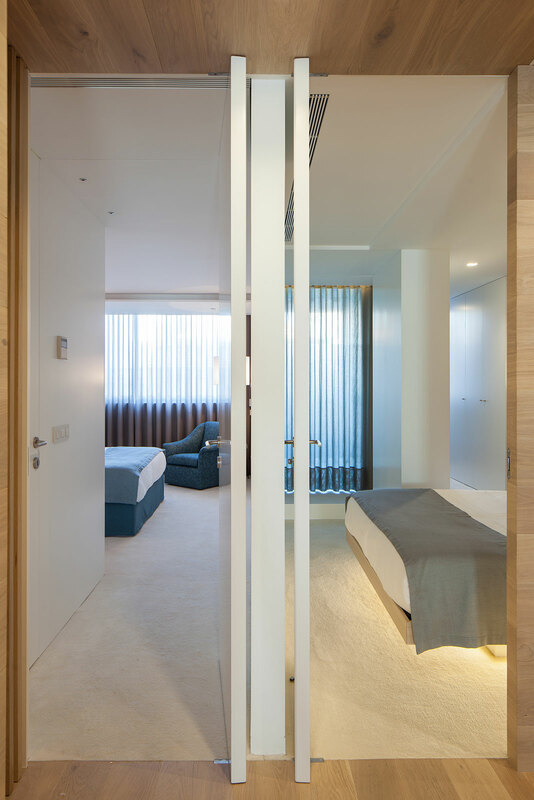 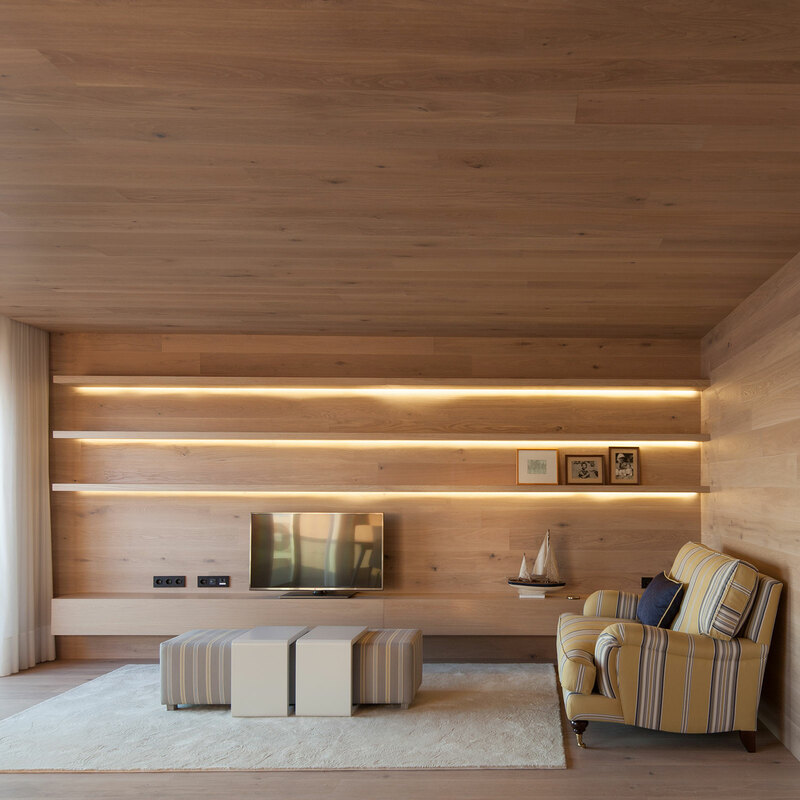 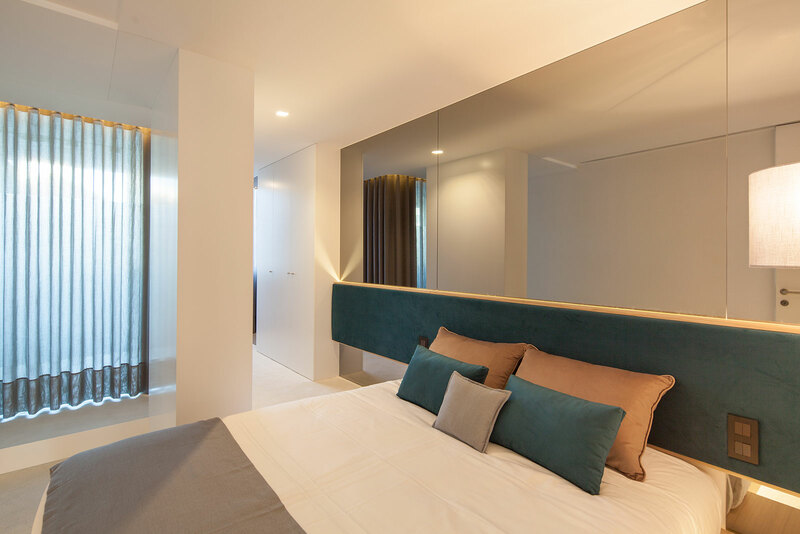 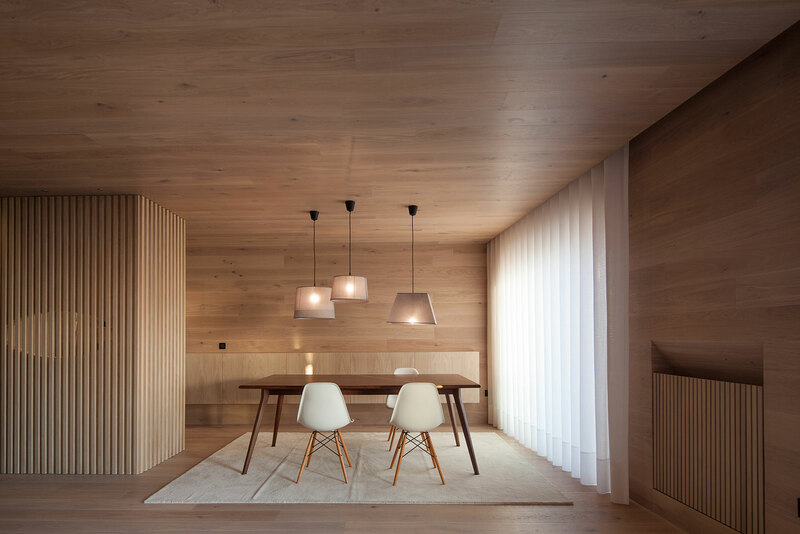 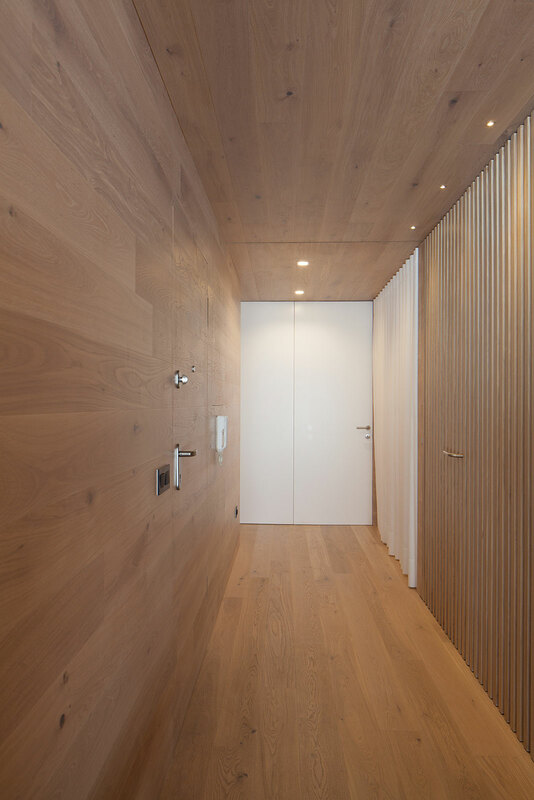 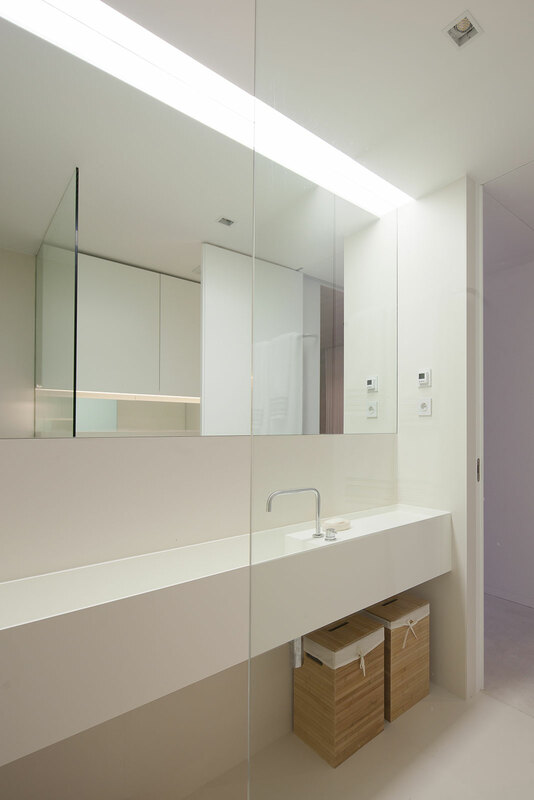 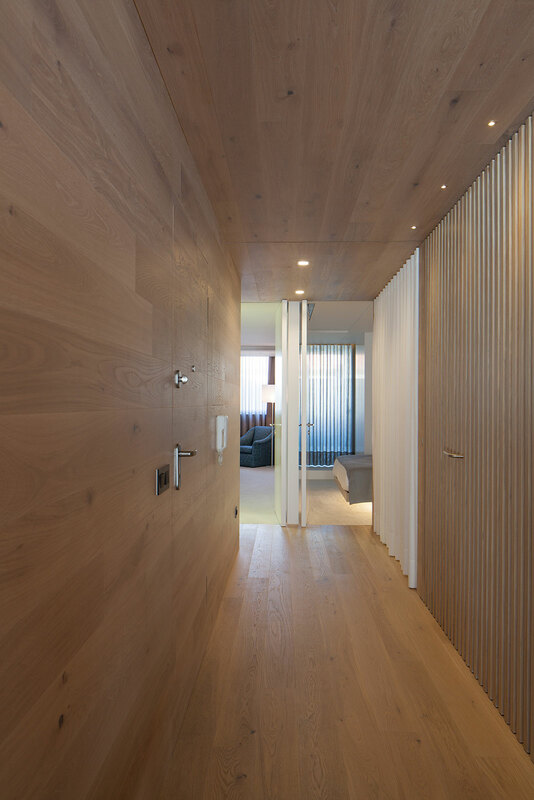 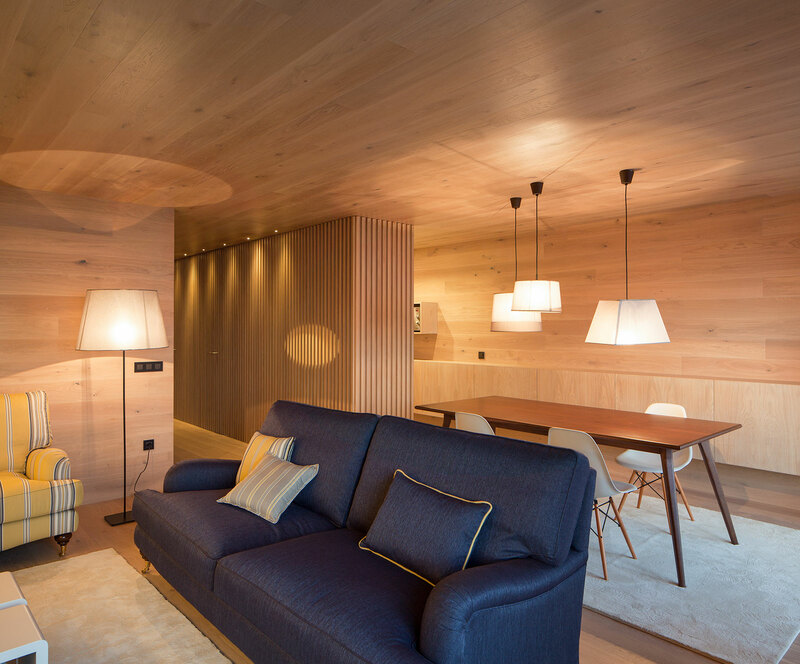 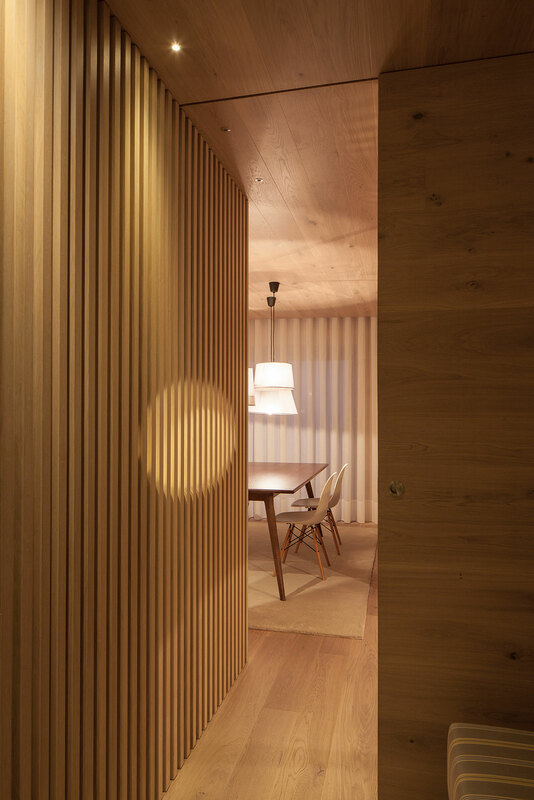 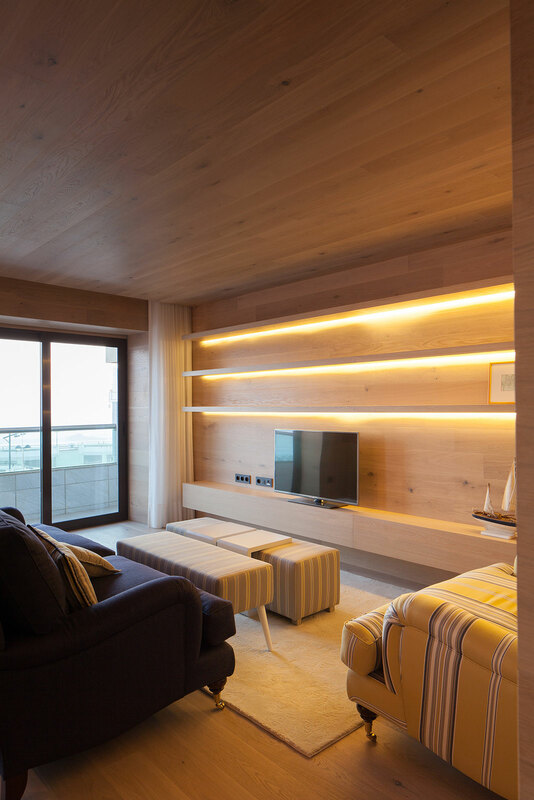 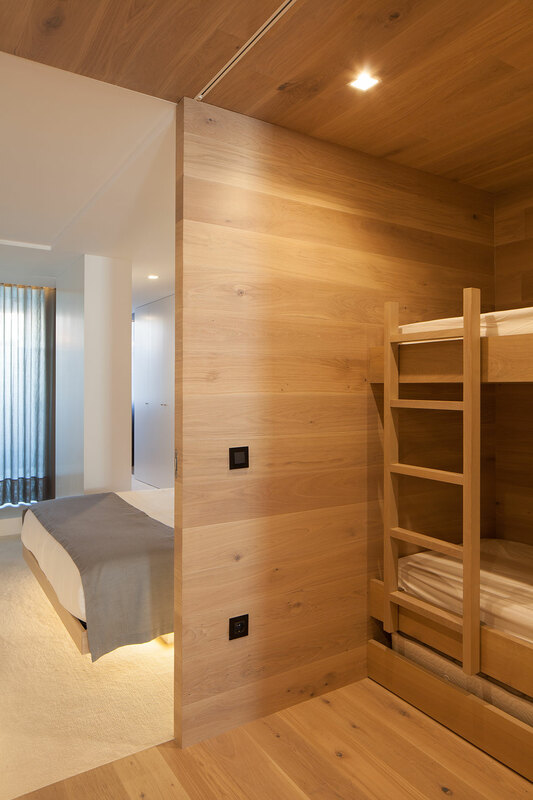 The project was based on the transformation of a 95m2 seafront apartment, for seasonal use, mainly out of the bathing season. 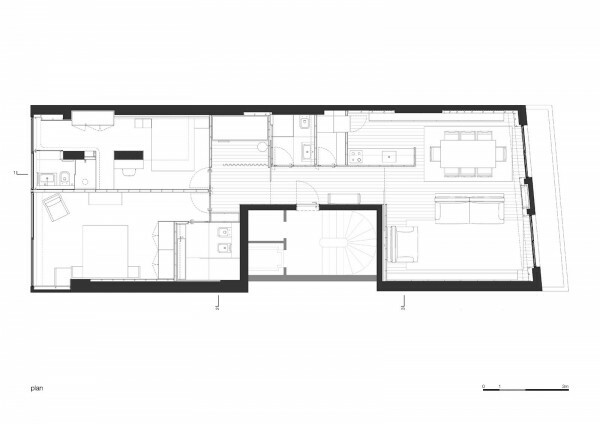 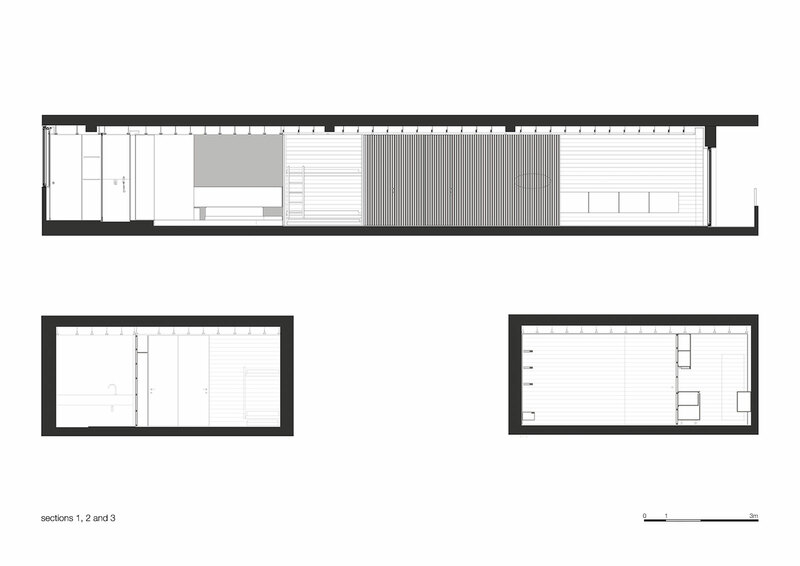 The existing space permitted a program with a generous living room with included kitchen area, two suites, a niche with bunk beds, a communal bathroom and a pantry. 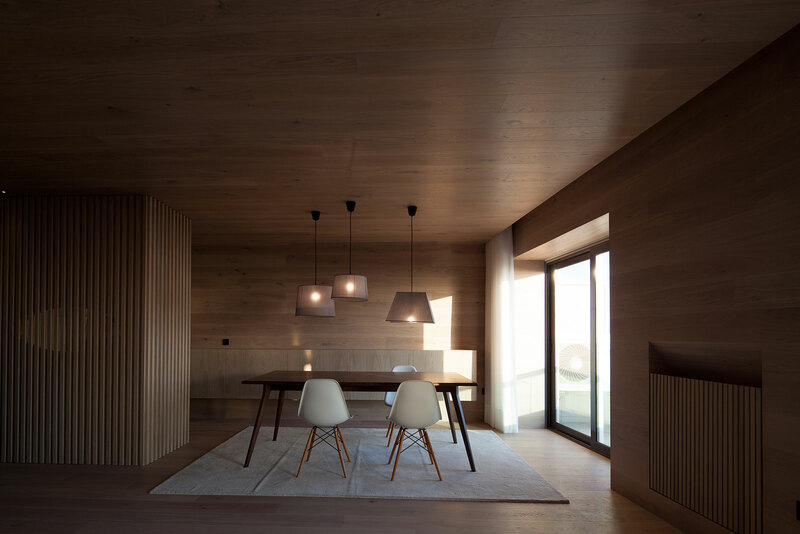 In the project the view to the sea was privileged. 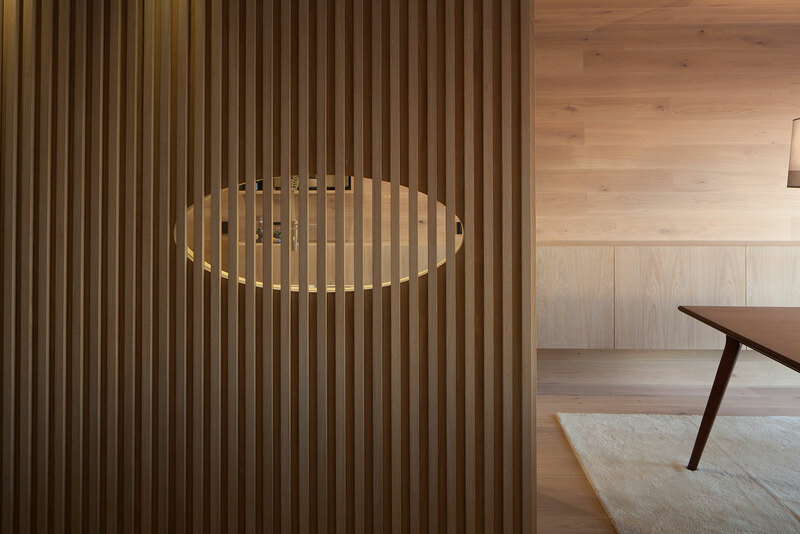 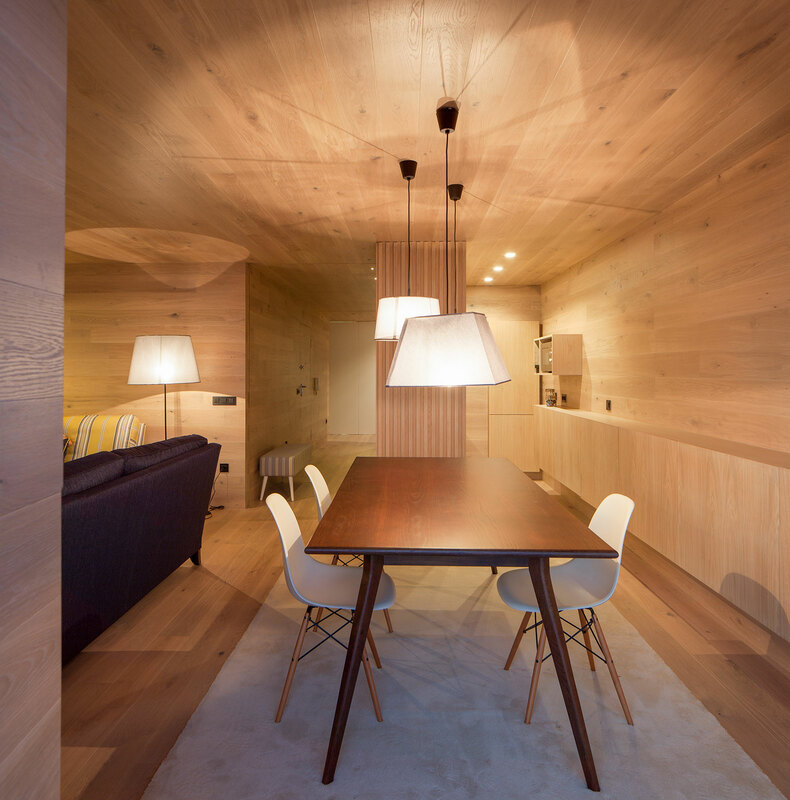 Once again the chosen material – oak wood – was decisive in building a space identity.